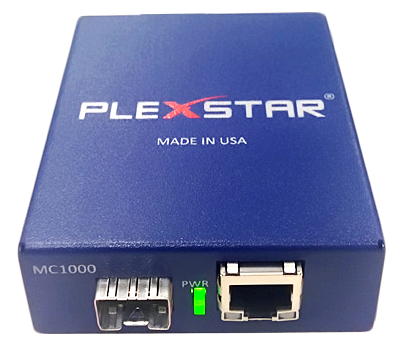 The Plexstar MC1000 is Fiber Media Converter which converts 1000Base-T UTP/STP media to 1000Base-SX/LX media and vice versa. 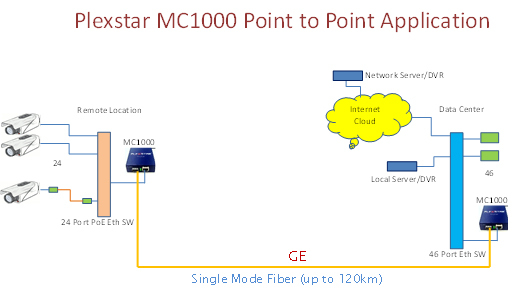 The fiber connection can be multi-mode or single-mode connection. No configuration required. 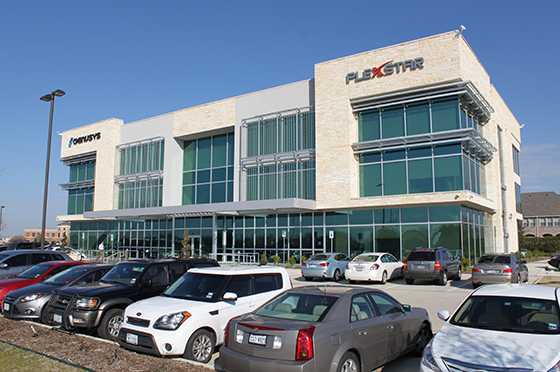 Offers 1 x SFP and 1xRJ45. MC1000 - USA, Asia, Europe and other regions. 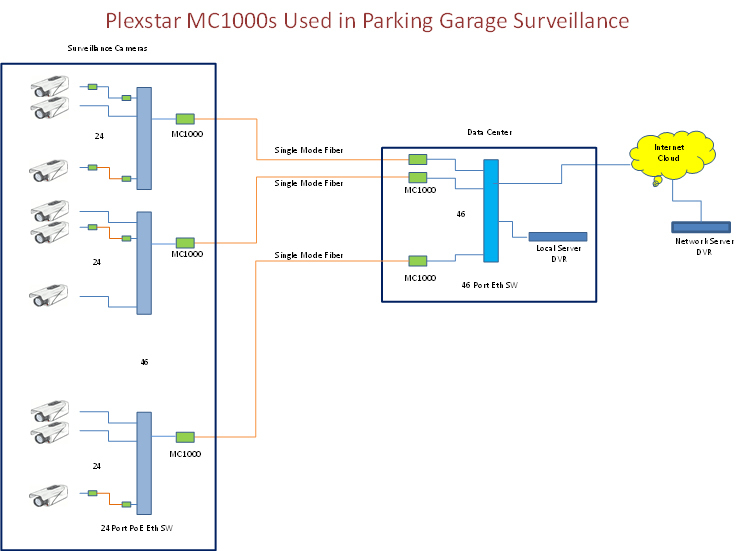 Cost-effective GE Fiber to GE copper conversion.